Casino Room Online Casino opened its virtual doors all the way back in 2005. The site is operated by Ellmount Gaming Limited who are registered and licensed in Malta. Besides a host of NetEnt game offerings, Casino Room also provides exceptional gaming from Betsoft, Microgaming and Thunderkick, to name a few. The operator also holds licensed in Curacao and the United Kingdom. If you’re looking for a new online casino to bet at along with an incredibly generous welcome bonus off and free spins, you might wonder what Casino Room has to offer. Check out our in-depth review below to find out. Your First Deposit:For your first deposit, you get 500% up to £100. The minimum deposit is £20, and you can either play with £120 or get 200% up to £300 when you deposit £150 so you can play with £450 or get 300 free spins on 10 thrilling slots. Your Second Deposit: Deposit £200 and get a 200% match up to £400. Or, deposit £400 and get an extra £400 to boost your bankroll, or 200 free spins. Your Third Deposit: Deposit £250 and get an extra £500. Or, deposit £500 and get another £500 or 200 free spins. Your Fourth Deposit: Deposit £500 and get another £500. Or, deposit £1,000 and get an additional £500 to play with or 100 free spins. Your Fifth Deposit: Deposit £500 and get another £500. Or, deposit £1,000 and get a further £500 to play with or 100 free spins. All of the above bonuses require a minimum £10 deposit and there is a hefty 75x playthrough requirement before you can withdraw your winnings from your bonuses. You must also fulfil all the bonus conditions within 30 days. And, if all of that choice, bonus cash and free spins aren’t enough, Casino Room, online casino has plenty of chances for you to cash in on even more bonuses. They regularly update their promotions and you can expect loads of free spins as a loyal player. Playing real money online casino games means using one of the available banking options at Casino Room Casino. Luckily, there are plenty to choose from. There is a minimum withdrawal amount of £10 and the maximum withdrawal amount is £10,000 a week or £30,000 per month. However, the casino does state that it reserves the right to change these figures at its discretion. Should this happen, you’ll find the updated terms and conditions on the site. As for withdrawal timeframes, it all depends on which method you go for. Wire transfers can take around 7 to 10 business days, while e-wallets are much quicker at just 24 to 48 hours. Cheques, on the other hand, can take between 3 to 5 business days and credit cards can take around 6 to 8 working days. Casino Room features games from big brand names such as NetEnt, Microgaming, Thunderkick, Betsoft and a couple of others. The operator has a particularly vast selection of NetEnt and Betsoft games. Both have an exceptional reputation for designing stunning 3D slots with highly entertaining themes, while Microgaming is renowned for their high-quality TV and movie-themed slots, sleek tables and enthralling progressive jackpots. At this casino, you’ll find over 800 games and loads of variety when it comes to themes and graphic styles. In the slots menu there’s everything from classics to 3D slots and hundreds of exciting options. You’ll also find all your favourite table games at Casino Room like roulette, poker and blackjack. There’s a good pick of video poker, too, and plenty of progressives to sink your bets into. And, when you need a break, you can have a go at the scratch cards or try out some casual games like the Beer Fest arcade game. If you fancy some immersive and interactive gaming, head over to Casino Room’s live casino section where you’ll find a good variety of real money table games courtesy of Microgaming. You get to have all the fun in real-time with a live dealer on favourites like roulette, baccarat and blackjack. Casino Room online casino doesn’t have a dedicated app to download to your smartphone or tablet, but you can still play your preferred games using the mobile-optimised site from your device’s browser. While the game selection is a little limited compared to the main desktop site, new titles are added all the time and hundreds of the casino’s titles are available on mobile which means you can still spin those reels whenever you want to and wherever you are, provided you have a stable internet connection. When you play at Casino Room online casino you get the benefit of exceptional regulatory oversight by the Malta, Curacao and UK gambling commissions. That makes for plenty of leverage for players if you feel like something is not being done properly. Every one of the games at Casino Room has been certified, too, to comply with eCOGRA’s stringent standards and rigorous assessments are conducted by independent auditors to ensure that the games return fair payouts and operate completely randomly and honestly. Casino Room Casino is also RNG certified. This means that the site uses a random number generator to ensure fairness in every game and that it’s been tested by those reputable third parties and found to meet industry standards. What’s more, the operator has implemented a number of measures to counter fraudulent attempts and nay other illegal activities on its servers. In terms of banking, the payment methods accepted for your withdrawals and deposits are all trusted and secure methods, including Visa, Mastercard and Neteller. Both your financial and personal data is highly protected with the use of SSL encryption software. 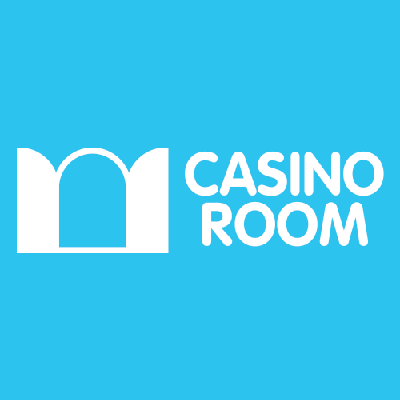 If that’s not enough to convince you that Casino Room is safe, secure and legit, the operator goes a step further to advocate responsible gaming by offering a number of self-exclusion settings that allow you to limit how much time and money you spend on the site. There’s even an online self-test to help you figure out if you’re at risk of a gambling problem. Sometimes, an online casino is only as strong as its team of customer support agents. So, if you have a question or concern as a player at Casino Room online casino, what do you do? You get hold of the superb support staff through any one of the excellent communication channels. The most popular method, and most player’s go-to, is live chat. You get fast results with minimal effort – every player’s dream! 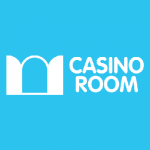 The support staff at Casino Room are knowledgeable and friendly, making it a breeze to find solutions. If you don’t fancy hitting the live chat button, you can also get in touch via email or you can fill in the handy contact sheet and an agent will get back to you. The response time is fairly good depending on the site’s current volumes, but it typically takes around 40 minutes to a couple of hours to hear from someone. But, let’s say that the live chat function isn’t working for some reason and you need a faster response than email or a contact form. That’s okay, you can get in touch with the support centre directly through a dedicated landline, or you can pop onto Skype during business hours and reach out. Alternatively, have a look through the comprehensive FAQ section first. It’s often your best port of call as there’s every likelihood that players before you have had the same question or problem. The site has categorised the FAQ section rather neatly into commonly asked questions in terms of specific areas of the casino, like banking, logging on and so on. Considering all of this, Casino Room Casino comes highly recommended by our reviewers. It’s an excellent choice when it comes to online video slots and a huge array of titles and the big providers behind Casino Room provide a never-ending supply of immersive, enthralling online gaming. There are big progressive jackpots, plenty of table games and a live casino to keep you busy for ages. But, while the games certainly put Casino Room on top, the massive welcome bonus and humongous array of choices see Casino Room soar above the competition. They’re the perfect way for new players to get started and all that along with convenient banking methods that make your transactions quick and easy and a customer support team that’s always on hand, you just can’t go wrong. Best of all, you can enjoy it all from your preferred mobile device. All that’s left for you to do is head over to Casino Room and see it, and experience it, all for yourself.